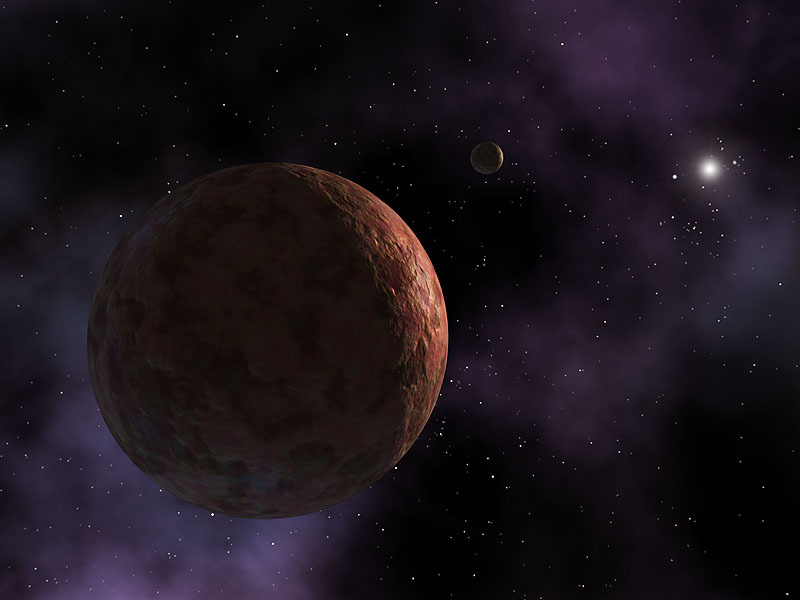 A large planetoid was discovered on 14th November 2003 its orbit is on the outer fringe of our solar system. The planetoid was discovered by Mike Brown of the Californian Institute of Technology, Chad Trujillo of the Gemini Observatory in Hawaii and David Rabinowitz of Yale University in Connecticut. It is believed to be the largest object discovered since Pluto in 1930 and the furthest object from the sun. Named for the Inuit Goddess Sedna because of its cold distant nature, it is thought to be a huge ball of ice between 800 and 1,100 miles in diameter. Astronomers believe that extremely long periods of exposure to radiation has turned the compounds within the ice red. Sedna is approximately 90 astronomical units from the sun with a highly elliptical orbit going round the sun once every 10,5000 years. Two thirds the size of Pluto, three times further away from the Sun than Pluto or Neptune and because of its distance the temperature never rises above –400F. 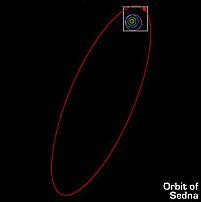 Sedna’s official name is 2003 VB12 and was first observed with the 48 inch Samuel Oschin Telescope at Caltech’s Palomar Observatory near San Diego. The discovery was officially announced on the 15th March 2004.